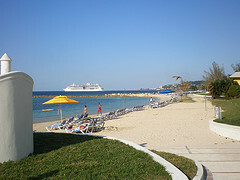 Sunset Beach Jamaica - An Awesome All Inclusive Vacation! One of the most efficiently run, budget friendly, and superior customer focus hotel, The Sunset Beach Resort & Spa, as it is officially called, is dear to my heart- I'll tell you why. I worked there for a while and believe me, not only did it provided me solid work experience that boosted my resume, I met some lasting friends, true friends there. Karen, who now resides in the US, is one such amazing people. Mr. Peters and Mr. Daley - although two completely different personalities has taught me a lot, without them even knowing. And of course, every now and then they asked me to come over and help on some project. 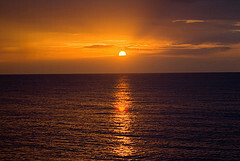 The truth is though, not only does "The Sunset" seems to attract some very resourceful and dedicated employees, they also seem to attract a lot of visitors, which include a high percentage of returnees. Regardless of the season or situation that may cause a downtown in visitor arrivals, the beautiful Sunset always seems to boast a relatively good occupancy rate, and I don't think it only has to do with their promotional efforts. Ok, part of it may be the promotion,but their customer service, food, activities, rooms and spa services are up right up there with the best in the island! The food was always good, but equally too was the wide variety to choose from. 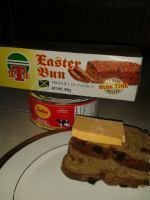 I always looked forward to Thursday nights, 'Jamaica Night' to get the food prepared then. Of course, I don't think I need to tell you all about it, I'm pretty sure you have an idea what I am talking about right? Yes, It's all traditional Jamaican food, ackee and saltfish, roast breadfruit, curried goat, coconut drops, and lots more, I mean a lot more! And what about the activities? Trust me, your time will be well spent. There is the new and excitingly hot Pirates’ Paradise Water Park, which includes Buccaneer Beach, Blackbeard’s Lazy River, a Caribbean Pirates’ Paradise Fort, waterfalls and two elevated hot tubs. There is a range of non-motorized water sports including paddle boats, sunfish, kayaking and snorkeling. Three beautiful beaches, one of which is clothing-optional. The giant Jacuzzi to melt away your tension. And for the board game lovers, you can sharpen your skills at shuffleboard, giant chess and checkers. 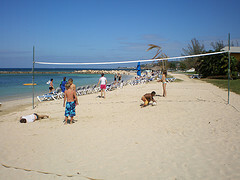 Of course, there is also beach volleyball, tennis and basketball. By the way, there are four championship tennis courts! There is also the exciting Galaxy disco where you can dance the night away to your favorite tunes. Kids enjoy Club Mongoose, a free program for ages 2-12. The Pirates’ Cove Teen Center entertains older children. And for those like to keep in shape, you can work out in the air-conditioned gym with exercise equipment, aerobics classes and free weights. There are also daily activities and nightly entertainment- including Caribbean floor shows, fashion shows and beach party nights. And still, you don't even have to get stuck on property, there are numerous adventures and sightseeing organized by the guest services desk for you. This is just an amazing little property! Another thing with this hotel too is that they are always striving to get better. 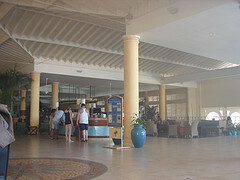 Since I left there in 2000, the hotel has almost totally transformed, for the better! Much of the activities I mentioned above, including the giant water park is one of the new attractions, and they continue to add. Since I worked there I never really stayed there but I have certainly experience enough to offer a honest recommendation. 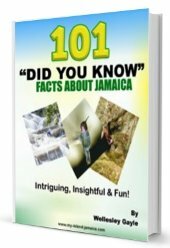 By the way, Sunset Resort Jamaica, (actually Sunset Beach Resort & Spa) is one of the three hotels in the Sunset brand, the other two are, The Sunset at the Palms in Negril and The Sunset Jamaica Grande in Ocho Rios. They could not find a better motto. They are truly "Always for Everyone... Uniquely Jamaican".